There are a lot of pros and cons to weigh up, but when you're done comparing all the specifications and weighing up the various pros and cons one thing stands out: in terms of the features it offers for the price, the FZ60 / FZ60 is currently one of the lowest cost, best value super-zooms on the market. 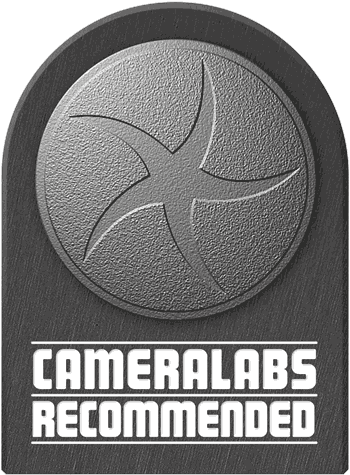 That, combined with fact that it also produces great quality images and excels in low light earns it a Recommended rating. The Panasonic Lumix DMC-FZ60, or Lumix DMC-FZ62 as it’s known outside North America, is a 16.1 Megapixel super-zoom camera with a 24x stabilised optical zoom. 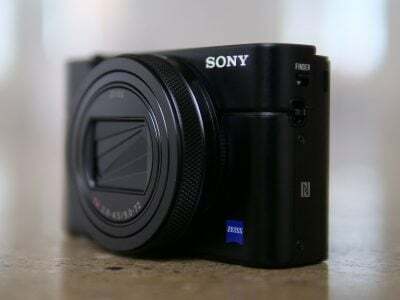 Announced in July 2012, it replaces the Lumix FZ47 / FZ48. Like its predecessor, the Lumix FZ60 / FZ62 is the more affordable of two Panasonic super-zoom models in the current range. Released concurrently, the premium Lumix FZ200 is equipped with the same zoom range, but a different sensor and a range of other refinements including a constant f2.8 aperture, support for RAW, articulated screen and high resolution electronic viewfinder at a higher price point. Look out for my upcoming review of that model soon. Panasonic is in the habit of updating lenses in the FZ range on alternate models, but the Lumix FZ60 / FZ62 retains the 25-600mm (equivalent) zoom range that we’ve seen on two previous models, the FZ47 / FZ48 and the FZ40 / FZ45 before it. As such, it’s outgunned at the telephoto end by competitors like the Sony Cyber-shot HX200V, Fujifilm FinePix HS30 EXR and Canon Powershot SX40, but there are still very few models that can match its 25mm wide angle field of view. The most interesting new development in the Lumix FZ60 / FZ62 is the sensor. In the past Panasonic has equipped its premium super-zoom with an MOS sensor and the more affordable model with a CCD one. With the FZ47 / FZ48 it also reduced the pixel count to 12 Megapixels from 14 on the FZ40 / FZ45. 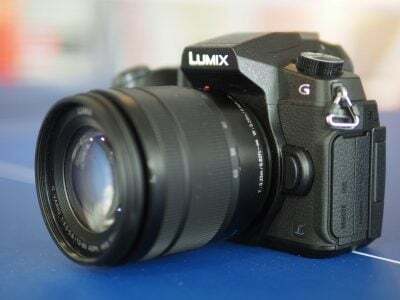 This time around Panasonic has taken an unexpected turn and developed a new 16 Megapixel MOS sensor for the Lumix FZ60 / FZ62. Not everyone will greet this development with unreserved joy. The 14.1 Megapixel MOS sensor in the FZ100 delivered unremarkable image quality and met with such widespread criticism that Panasonic responded by reducing the pixel count to 12.1 megapixels in its successor, the FZ150. For different reasons, the company also reduced the pixel count on its CCD models from 14 to 12 megapixels on the FZ40 / FZ45 and FZ47 / FZ48 respectively. Given its lack of RAW output, the in-camera JPEG quality of the Lumix FZ60 / FZ62 is a crucial factor and, given the history, Panasonic’s decision to raise the resolution bar again either means it’s pretty confident about its new 16 megapixel sensor, or it’s worried about losing out in the numbers game to rivals like Sony and Fujifilm. But which is it? You’ll find the answer to that as well as comparisons with the 18 Megapixel Sony Cyber-shot HX200V and 16 Megapixel Fujifilm HS30 EXR in my full review. In terms of size and weight, the Lumix FZ60 / FZ62 is, give or take a millimetre here and a few grams there, the same as the camera it replaces, but there are a few external changes. On the top panel the on/off switch has moved and is now located adjacent to the mode dial. Where the old switch had a sideways sliding movement the new one is rotary and moves like the hands on a clock – from 5 o’clock to 4 o’clock switches the camera on. The dedicated record button and focus button are joined by a continuous shooting button. The mode dial itself has been simplified by the removal of the individual scene mode positions which are now accessed via the menu with the mode dial in the SCN position. In addition to the PASM modes there’s Intelligent Auto, Creative Control, two custom positions, and Movie mode. As before, the twin stereo mics are mounted in the top of the pop-up flash housing, but there’s no hotshoe as on the premium FZ200 model. The rear panel layout bears a close, but not identical relationship to the earlier FZ47 / FZ48. Most of it is taken up with the 3 inch, 460 thousand pixel fixed screen. If you hanker after an articulated screen you’l have to consider a move up to the FZ200, which is side-hinged or the Cyber-shot HX200V or FinePix HS30 EXR both of which have flip-up screens. The button layout on the right consists of a four-way controller, Q.Menu button, playback, display and focus mode buttons. The display and playback buttons have been transposed, which makes little difference; more importantly, the four-way controller buttons have been reassigned with the FN button relabelled Fn2 and moved to the right and the exposure compensation button replaced by white balance. Fn1 is what used to be the AF/AE lock button above the screen and this too is now programmable. Next to it is the button for switching from the screen to EVF – there’s no eye sensor to automatically do so – and on the other side of the viewfinder is a button for raising the flash. A hinged plastic flap covers the USB and mini HDMI ports on the left side of the camera and the combined battery and card compartment is in the handgrip, accessed by a door on the bottom. The tripod bush is slightly offset which means you can’t access the battery/card compartment with the camera mounted on a tripod. The Lumix FZ60 / FZ62 takes a DMW-BMB9E Lithium-Ion battery. This is the same battery used in the FZ47 / FZ48 with a power output rating of 895mAh, but the company has managed to squeeze and additional 12 percent from it by clever energy management extending the number of shots on a single charge to 450. While it’s good to have longer battery life, remaining time is indicated by a three segment LED, which is fairly crude by comparison with the time remaining readout provided by the Cyber-shot HX200V’s info-Lithium battery. The Lumix FZ60 / FZ62 has a built-in pop-up flash which is activated by a button to the left of the viewfinder. Without a dedicated Flash mode button it’s necessary to access the Q.menu to select flash modes which include Auto, Auto/Red-eye, Forced on, and Slow Sync/Red-eye. You can select 1st or 2nd curtain synchronisation from the main menu. The flash has a maximum quoted range of 13.5 metres at the wide angle lens setting and with Auto ISO selected. No guide number is provided so it’s difficult to make comparisons but the figure quoted for the FZ47 / FZ48 is 9.5 metres so it looks like the flash power has increased. The flash recycles quickly and with a fully charged battery there’s no delay between shots – it’s ready to go as soon as the camera is. There’s also a flash burst continuous shooting mode which Panasonic doesn’t provide figures for, but which in testing fired off a 5 frame burst at around 2fps. As I mentioned earlier, the Lumix FZ60 / FZ62 lacks the hot shoe of its more expensive sibling the FZ200. The Lumix FZ60 / FZ62 retains the 3 inch 460k pixel LCD panel of its predecessor. The 3in diagonal and 3:2 aspect ratio remains the same as before, so there’s thin black bars to the sides of 4:3 shaped photos or above and below 16:9 frames. It’s a fine screen and provides a bright contrasty view. The menu provides brightness control as well as contrast/saturation and even colour balance controls but none of this makes up for the fact that, with the FZ200, Cyber-shot HX200V, FinePix HS30 EXR and PowerShot SX40 all offering articulated screens, the Lumix FZ60 / FZ62’s screen feels a little ordinary. Even if you’re not that bothered about being able to flip the screen, the side-hinged screen of the FZ200 allows you to turn it inwards for protection when you’re not using it. And it’s not just about articulation. When it was introduced on the FZ47 / FZ48, the 460 thousand dot screen was a big step up from the 230k dot screen of the FZ40 / FZ45, but Sony has been ahead of the game for some time with 921k dot screens on the Cyber-shot HX200V and the HX100V before it and though it does no better than the Lumix FZ60 FZ62 on resolution, Fujifilm’s FinePix HS30 EXR has a screen that’s very bright and easy to see outdoors. Conversely, though, Canon’s PowerShot SX40 HS has an articulated screen at 2.7 inches and 230k dots so it’s both smaller and less detailed than that of the Lumix FZ60 / FZ62. However, it’s important not to lose sight of the fact that the Lumix FZ60 / FZ62 has sacrificed these kinds of features in order to provide the same zoom range and some core features of the FZ200 at a more affordable price. Another thing to consider is that the LCD screen isn’t the only, or possibly even the best way to compose shots on the Lumix FZ60 / FZ62. The Electronic viewfinder provides an alternative that, particularly for SLR users, will be the preferred option. The Lumix FZ60 / FZ62 retains the 0.2 inch 201k pixel EVF of its predecessor which provides a 100 percent view. The Fujifilm HS30 has a new 0.26 inch electronic viewfinder with a resolution of 920 thousand pixels and 100 percent coverage. The view compared with the Lumix FZ60 / FZ62 is bigger, brighter and more detailed, especially when set to the optional 50 frames per second refresh rate. Another option if viewfinder quality is important to you is the Panasonic FZ200 which has a new 0.2 inch 1.3 million pixel EVF with a 100 percent field of view. The Lumix FZ60 / FZ62’s EVF is very similar to the Sony Cyber-shot HX200V’s both in terms of specification and how it performs in use. It’s not leading edge, but you wouldn’t expect that in a super-zoom model at this price point. If I were to make a criticism of it it would be that the view looks slightly pixellated and suffers from flickering when you pan (though it’s actually a little more stable than the Cyber-hot HX200V). The low resolution also means that the screen icons look quite crude. The Panasonic Lumix FZ60 / FZ62 has a 24x zoom lens with a 35mm equivalent range of 25-600mm. It’s the third generation model to use this lens and Panasonic’s decision to stick with it rather than extend it might seem surprising given the 30-35x zoom ranges now on offer from the competition. Instead, the company has developed a ‘constant aperture’ version which maintains its maximum f2.8 aperture across the entire zoom range. Unfortunately this feature is only available on the premium FZ200, so as before, the Lumix FZ60 / FZ62’s lens slows down to f5.6 at the 600mm end of the range. While the constant f2.8 aperture of the FZ200 is undoubtedly a big advantage for low light telephoto shooting – wildlife and sports spring to mind – it’s not something everyone will want or need. What you should consider is how often you shoot at or near the 600mm focal length. Halfway, at 300mm the Lumix FZ60 / FZ62 slows down to f4.1, so in the 25-300mm range the maximum benefit of the FZ200 is actually only about one stop – or, say, shooting at 200 ISO instead of 100. Aside from the maximum aperture the other thing to consider is the maximum focal length of the Lumix FZ60 / FZ62 which falls short of both the FinePix HS30 EXR at 720mm and the Cyber-shot HX200V at 810mm, not to mention the super-long Canon PowerShot SX40 at 840mm. Having said that, 600mm wil be plenty long enough for most subjects, including wildlife photography and sports. The images below provide an idea of just how far in a 24x zoom will get you. The Lumix FZ60 / FZ62’s lens is optically stabilised. The stabilisation has two positions – on and off which can only be set by delving into the fourth page of the Record tab of the main menu. Once turned on, the stabilisation operates continuously, there’s no power-conserving option to activate it when you half-press the shutter. To test the Lumix FZ60 / FZ62, stabilisation I zoomed the lens to its maximum 600mm focal length and took a series of shots in shutter priority mode at progressively slower shutter speeds first with the stabilisation turned off, then with it turned on. As you can see from the crops below the Lumix FX60 / FZ62 can shoot at shutter speeds as slow as 1/25 with the stabilisation enabled, around five stops slower than convention suggests is possible without it. The Lumix body is well balanced with the lens extended to its maximum telephoto and I was actually able to get consistently good results unstabilised at speeds down to 150th. 100% crop, 4.5 – 108mm at 108mm, 400 ISO, 1/25th, IS off. The Lumix FZ60 / FZ62’s mode dial has been greatly simplified by removal of many of the scene options found on earlier models. These scene modes are still available from the scene mode menu, they just no longer have a dedicated position on the mode dial. I won’t talk too much about the PASM modes and intelligent Auto as they’re unchanged from the FZ47 / FZ48 and the earlier FZ40 / FZ45. Panasonic introduced Creative Control filter effects on the FZ47 / FZ48 and these have been extended with the addition of eight new options including Soft Focus, Dynamic Monochrome, Impressive Art, One Point Colour, Cross Process, Low Key, Toy Effect and Star Filter in addition to the existing Expressive, Retro, High Key, Sepia, High Dynamic, Miniature Effect modes. In some cases the titles of these effects are quite descriptive, others not so. Whether Impressive Art is impressive is really a matter of opinion, Dynamic Monochrome isn’t an HDR effect, but a high contrast monochrome filter. Cross process does look a little like the chemical process from which it takes its name and the star filter adds star bursts to specular light sources. High Dynamic claims to ‘produce the optimum brightness for light and dark parts’, but if you’re serious about dynamic range the HDR scene mode is a much better bet. Creative Control filters can be applied at the time of shooting or subsequently in the camera from the retouch menu. The latter route at least means you get the option of also having an original unfiltered image – if you shoot using the effect there’s no going back. Though one advantage of shooting with the effect that you don’t get if you apply it post is the option to further refine it by pressing the thumb wheel and adjusting sliders for exposure, depth of field and effect strength. Although overall there’s more control over these effects than previously, it’s a little disappointing that it’s no longer possible to select the focus zone for the Miniature effect. These effects can all be used in HD movies that are recorded using the dedicated record button. The Miniature effect demands a degree of internal processing which reduces the recordable frame rate but, like other cameras which offer the same feature, instead of showing jerky motion in real-time, these clips are simply played back faster than normal speed, which further enhances the effect. Obviously this means you’ll need to record for around ten times longer than you want the clip to last during playback – so if you want a one minute of accelerated Miniature footage, you’ll need to film for about 10 minutes. The adoption of a MOS sensor for the Lumix FZ60 / FZ62 makes possible the introduction of composite modes which quickly shoot a burst of frames and combine them to improve low light performance and dynamic range. The Lumix FZ60 / FZ62 now includes the Handheld Night Shot mode previously seen on the FZ150, but not the CCD sensor-based FZ47 / FZ48. There’s also an HDR Mode. Both of these stacking modes set the ISO sensitivity automatically. I’ve included an example of the HDR mode below. Generally, the FZ60 / FZ62’s HDR mode does well at boosting detail and the shadow to mid-tone regions but isn’t as effective at highlight recovery. You can see 100 percent crops from Handheld Night Shot mode on my Panasonic FZ60 / FZ62 noise results page. I should mention that the Lumix FZ60 / FZ62 inherits its predecessor’s Intelligent Resolution capabilities, which apply greater sharpening to images, and if i.ZOOM is also enabled, allows the camera to digitally double its zoom from 24x to 48x. The 3D Photo mode, which takes a burst of images while you move the camera sideways, before automatically selecting two photos to generate a 3D image is also retained. Like its predecessor, the Panasonic Lumix FZ60 / FZ62 can shoot HD movies at 1080i resolution at 50 or 60 fps (from 25p or 30p sensor output) depending on region. As before, there’s the option to encode movies as AVCHD files, in which case they’re saved in a ‘Private’ folder separately from the still image files, or using the more edit-friendly MPEG-4 codec saved as a QuickTime .mov file along with the still images. The AVCHD mode can record video in either Full HD 1080i or 720p, both at a rate of 17Mbit/s. The MP4 mode can record video in Full HD 1080p, 720p or standard definition VGA, at rates of 20, 10 and 4 MBit/s respectively. All three modes are encoded using progressive video at 25p or 30p depending on region, and all match the original sensor output of 25p or 30p respectively. Using either of the AVCHD modes you’re looking at about 120 Mbytes per minute of footage, and as usual, European FZ62 versions are limited to clips no longer than 29 minutes and 59 seconds. Having not tested the FZ60 version I can’t say if Panasonic has implemented the same restriction or allowed it to record until the memory or battery runs out, but I’ll report back when I have more information. If you’re using the MP4 format, the clip length is limited to 29 minutes and 59 seconds (or a file size of 4GB) regardless of whether you’re using an FZ60 or FZ62. Finally, Panasonic recommends using an SD card rated at Class 4 or faster for recording movies. These modes are much the same as what was available on the FZ47 / FZ48 with Panasonic reserving 1080p50/60 recording for its flagship FZ200 model. Pressing the dedicated movie record button automatically sets the exposure for video recording, but switch the mode dial to the Creative Video position allows you to record movies in any of the PASM modes. What’s more, it’s possible to alter the aperture and shutter speed during recording. The FZ60 / FZ62’s 1080i50 HD video quality looks great and the stabilisation works well at the wide angle setting. The zoom motor is inaudible at either of its two speeds – I used the slower one here – but look at what happens when you get close to the maximum zoom range. The image shearing is pretty intrusive, bad enough in fact to warrant avoiding the longer focal lengths for video. You could of course turn off stabilisation, but the camera shake would probably be just as bad as the shearing. Stabilisation was turned off for this tripod-mounted pan which suffers from none of the shearing in the previous clip. The FZ60 / FZ62 has a wind cut filter which is set to automatic by default and does a reasonable job here. The focus remains solid throughout the zoom which is used here at the faster speed. The continuous autofocus manages reasonably well on this indoor panning shot which was shot in Program auto mode. Despite the low light, the clip doesn’t look particularly noisy and the exposure and white balance copes well with the changing light levels. All of the FZ60 / FZ62’s Creative Control Effects can be used for movies at the best quality 1080i HD resolution. Some, like the Miniature effect shown here, require intensive processing which slows the recording frame rate to around 3fps.Played back at 25fps the action is sped up by a factor of about 10, so you need to shoot for ten times longer than the resulting clip. I shot this scene for a minute to produce this 6 second clip. The Lumix FZ60 / FZ62 is ready to take its first shot around a second after you turn it on, which is nice and quick. The new on/off switch is a little bit fiddly, but you’re not likely to move it accidentally and its relocation to the mode dial does make extra space on the top panel for the Focus, continuous shooting and dedicated movie record buttons. The Lumix FZ60 / FZ62 isn’t short of buttons and Panasonic has increased the customisation potential by assigning programmable functions to two existing buttons – the AF/AE lock button and the right button on the four-way controller. With the former configured as Fn1 you have a choice from three pages of functions you can assign to it including Photo Style, Quality, Metering mode, display guides, flash modes and Auto Bracket. The same goes for the Fn2 button. Of course the first of those is only an option if you don’t mind living without an AF/AE lock button and, while some people might be prepared to do that, they’re probably not the same people that would bother investigating customisation options in the first place. Whereas the FZ47 / FZ48 mode dial had a single Cust position that recalled one of three menu-selectable saved configurations, the Lumix FZ60 / FZ62 has doubled up with C1 and C2 positions. There’s only one set on the C1 position, so this only increases the total number of custom sets by one, but it gives you two sets that are instantly accessible – you just need to turn the dial and start shooting – and two more that you can get to via the menu. These customisation options reduce the need to access the menu navigation and when you do there’s the redesigned Q Menu which provides direct access to frequently used settings. Apart from looking slicker, with smaller high resolution icons, the layout has been revised with options for each menu selection running horizontally rather than vertically. Movie modes have been added which is a good thing, but increases the number of options on the Q Menu to one more than can be accommodated on the screen. That means you can’t see the final, metering mode, option until you scroll to it and it has a different layout from all the others. This inconsistency isn’t the end of the world but having to hunt for things on a quick menu sort of defeats the object and many people will to assume it’s not there and head for the main menu. My review model was firmware 0.2 and I hope this is something Panasonic will address in an update. The Lumix FZ60 / FZ62 has four focus modes, 1-Area, 23-Area, AF Tracking and Face Detection. Face detection can detect up to 15 faces and lock focus on one of them. Multiple AF uses 23 areas to determine the best focus and there’s a single area AF option with a resizeable central AF area that can be moved around the screen. Manual focusing is selected by pressing the AF/AF Macro/MF button on the rear panel and then using the rear dial to adjust the focus referencing a scale on the screen. One of the problems with this is that the rear dial has three functions and you must first select the one you want (in Program mode the choice is program shift, exposure compensation and manual focus) by pushing it inwards. Rather than showing the currently selected mode the screen displays the mode that will be selected if you push the dial, so (until you get used to it) you have go a full circle just to get your bearings. I actually found manual focussing using the MF assist magnified screen and distance scale readout quite tricky. If your subject is static and well lit and the camera is mounted on a tripod it can work, but don’t expect to be able to use manual focus as a substitute for AF hand-held in poor light. In AF tracking mode pressing the AF/AE lock on the rear panel locks and tracks the object within the central target area. Like Face detection, AF tracking holds onto subjects well in good light, but in poor lighting conditions and when subjects move quickly, it can slip off the target. I should also mention that the Lumix FZ45 / FZ40 supports face recognition. Up to six faces can be stored along with name, D.O.B. and a custom AF icon. Focus and exposure are prioritised on recognised faces which can be registered manually, or you can set things up so that the camera automatically registers frequently shot faces. It’s a feature that’s popular on Panasonic’s compact range and undeniably great fun to see the names of people appear below their faces when they’re recognised. The Lumix FZ60 / FZ62’s MOS sensor provides it with faster continuous shooting capabilities than those offered by its predecessor and it sports a new continuous shooting button on the top of the handgrip. There are three burst speeds – 2fps, 5 fps and 10fps – all use the mechanical shutter and all but the fastest offer a continuous AF option. To test the Lumix FZ60 / FZ62’s continuous shooting I fitted it with a freshly formatted 8G Sandisk Extreme UHS-1 card and set it to the best quality 16 Megapixel resolution and the fastest 10fps mode. The FZ 60 / FZ62 fired off a burst of three frames at just under 10fps. While no one would argue that 10fps is a very respectable continuous shooting speed to have at your disposal, the brevity of the burst severely limits its usefulness, allowing you to capture an action sequence lasting around a third of a second. And if you’re hoping for better performance at the slower continuous shootings speeds you’ll be disappointed. With the 5fps single AF mode selected the performance was similar – a three-frame burst in half a second. Whereas in the ’10fps’ mode the camera stopped after three frames, this time it stalled momentarily before continuing more slowly. To call the Lumix FZ60 / FZ62’s continuous shooting performance disappointing is understating it. In some respects this is even worse than the CCD-based FZ47 / FZ48, which could at least shoot a burst of seven full resolution frames with much longer bursts on offer at reduced resolution. Reducing the image resolution on the Lumix FZ60 / FZ63 does nothing to increase the burst and there are no dedicated reduced resolution burst modes. So, despite the promise of fast continuous shooting held out by the MOS sensor it’s hard to see this as anything other than a step backwards. As for the 5fps continuous AF option, it’s hard to envisage circumstances where this would be useful, unless you’re in the habit of shooting subjects that cover a significant distance in half a second. It all falls a long way behind the Cyber-shot HX100V’s 10-frame 10fps full resolution burst mode, the 8 Megapixel 11fps burst mode offered by the FinePix HS30 EXR and the Canon PowerShot SX40 HS with 8 frames at 10.3fps. The Lumix FZ60 / FZ62 has a newly designed 16.1 Megapixel MOS sensor that produces images with a maximum size of 4608 x 3456 pixels. Images are saved as JPEG files at one of two quality/compression ratios; the best quality Fine setting produces images with a file size of approximately 5.5 to 7.5MB. The ISO range is 100-3200 with a High Sens scene mode that operates between 1600-6400 ISO and the shutter speed range is 4 – 1/2000. To see how the quality of the Lumix FZ60 / FZ62 measures-up in practice, take a look at my Panasonic FZ60 / FZ62 quality and Panasonic FZ60 / FZ62 noise results pages, browse my Panasonic FZ60 / FZ62 sample images, or skip to the chase and head straight for my verdict.